We have been sharing several school lunchbox ideas of our own but I wanted to introduce you to a menu planning service! 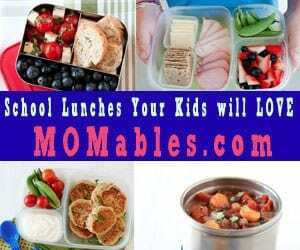 MOMables is a school lunch menu planning service geared just towards packing school lunches. I am SO over the standard ham and cheese with chips and *maybe* a slice of fruit. I want to mix it up so the kids aren't bored. Heck, I want to mix it up so *I'm* not bored! After signing up for the free trial, I saw the awesome lunchbox ideas that I know my picky eater kids will like. There is even one to recreate a pizza lunchable. They aren't really crazy or “pinterest” ridiculous either. 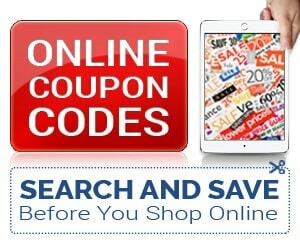 These are practical recipes with ingredients you can purchase by shopping on sale, that are also healthy (which is important). Want to see what a typical menu looks like? Download a free sample menu here. 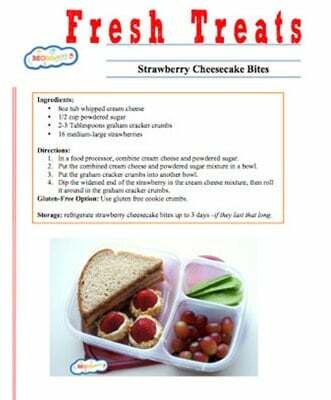 Want to hire MOMables to give you school lunchbox ideas with a menu plan that your child will enjoy? 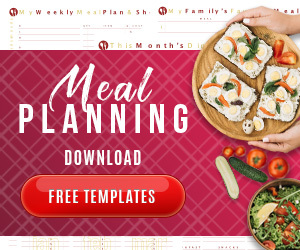 Sign up for the meal planning assistant program HERE. Pay just $6 a month for a 3-month plan. Or, you can select the annual plan and pay LESS on planning for your entire year than what you'd pay for 2 weeks of purchasing school lunches. Whatever plan you choose, your weekly menu wll come with recipes, a shopping list and prep-ahead suggestions. So, there are things that will help the busy mom ensure their kids have a healthy lunch ready to go without spending a fortune = WIN! Let me know how you like the service when you join. I'm going to sit down with our boys next week and start planning out their lunches for the first month of school!